For business or pleasure, this high-quality and easy-to-use WXGA , 3.500 -lumen Bright Short Throw projector works equally well at education environments or at Education . An WXGA , 3.500 Lumens Bright DLP Projector with a vast range of adjustment, and BrightEra for higher quality colour and a longer lifespan and superior images and a long-lasting, low maintenance performance. 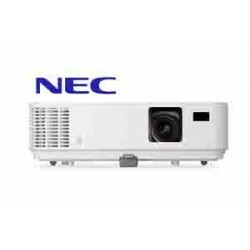 Seamlessly present to your audience using the NEC M353WS, a widescreen, value-driven and eco-friendly portable projector which uses the latest DLP(R) technology from Texas Instruments. This model delivers an ideal short throw distance solution for education (including interactive whiteboards) and corporate applications, and offers 3500 lumens to deliver remarkably bright images. With advanced connectivity, including HDMI and USB inputs, and wired and wireless (optional) networking options, the M353WS benefits users requiring maintenance-free design and envronmentally conscious features. When combined with active shutter glasses (NP02GL), this projector uses DLP Link™ technology, developed by Texas Instruments, to create 3D images. 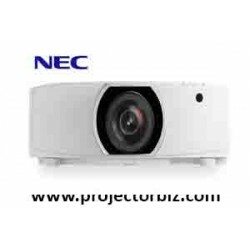 You can buy NEC NP-M353WSG online in Malaysia on www.projectorbiz.com, the best price and after sales services.